Were back with international football this week after a lengthy period of domestic and European football in the UK. After the success of the first Nations League last year, the European Championship Qualifiers will now get underway, with the full qualification tournament running from March through to November 2019. A total of 20 teams out of the 24 teams contesting the 2020 Finals, will earn their place in the finals this way, with the remaining four coming from the Nations League Playoffs, which will take place in March 2020. 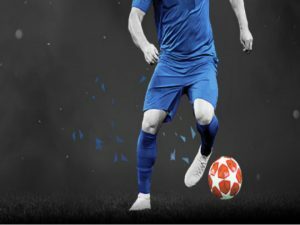 If you fancy a flutter on who will win Euro 2020, or even just on the qualifiers that take place this year from March through to November, then bet365 Sport is a great place to bet. New customers signing up using the latest bet365 New Customer Bonus will receive up to £100 in bet credits once they are betting on the site, which is a great way to have more cash to bet with. The 2020 European Championships are a special one-off event, first proposed by Michel Platini, as a celebration of 60 years of the tournament. Rather than holding the tournament in just one or possibly two host countries, the tournament has been expanded to 24 teams and will be held in 12 different venues across Europe. Each venue will host group games in the opening stages of the Euro 2020 finals, with a select number hosting Second Round and quarterfinal ties. The semifinals and final of the tournament have been slated to take place at Wembley Stadium. The tournament is scheduled to run between June 12 and July 12 2020. With an expanded 24-team roster for the finals, this means that there is now no requirement for playoffs at the end of the Euro 2020 qualifying campaign. Instead, the top two teams in each of the ten groups will qualify for the finals. They will be joined by the four teams that qualify from the Nations League playoffs, which will take place in March 2020. The playoffs will pit the top teams from each of the Four Leagues (A,B,C and D) in the Nations League 2018 against each other with the winning team earning a qualification spot. 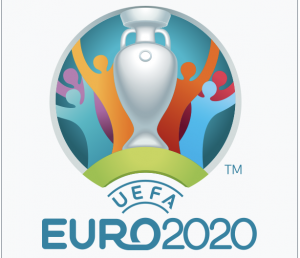 Should a team already be qualified through Euro 2020 qualifying, then their place will be taken by the highest ranking team in their division that have not qualified for the tournament thus far. The Scots travel to Astana to take on an improving Kazakhstan side in a game that looks easier on paper than it actually will be in reality. At least the Scots will have skipper Andy Robertson in their team after his dental abscess did not rule him out of the trip. Away form had been a problem for Scotland but they put that to bed with a fine 4-0 win over Albania in Tirana in the Nations League last year and they will be hoping that excellent form on the road can be replicated after the long trip east. Kazakhstan are an improving side and they will no longer be such a pushover as they used to be at this level, but even so, Scotland have the edge in terms of quality and I am backing them to put that into action here to claim the win. Scotland to win – 4/5 at bet365 Sport. Two World Cup quarterfinalisist clash in Brussels in what should be one of the best games of the night on Thursday evening. Belgium reached the World Cup Semifinals in the summer of 2018 in Russia and but they will know that to cement their place as a genuine top team, they need silverware and Euro 2020 could be their best chance to achieve that. Russia though are a team that are emerging from a rather poor spell at the highest level and in their last match, they battled to a 3-3 draw with Belgium in 2017, although that game was held in Russia. With the talent Belgium have available for this game, and home advantage, I do feel that they should win it comfortably but Russia made it tough for some teams at the last World Cup and I feel they could make it a tough night for Belgium here, even though I still expect the home side to earn the victory. After a positive World Cup and a hugely positive Nations League where England bettered Croatia and Spain to make it through to the semifinals of the tournament, Gareth Southgate will know that Euro 2020 is a key tournament for his team and he will be expecting his charges to put on another good display in the finals. First though, England have to get there, which has been a problem in the past and their opening game sees them take on a Czech Republic side who are not quite the same force as they were in European Football a few years ago. The Czech’s still have some talented players though and they are good enough to give England’s back line, which has been leaking goals of late, a real worry but even so, with the likes of Kane, Rashford and Sterling in great form for their clubs, it is hard to see how England cannot pick up the points here.